So you have yourself a website. Congrats! 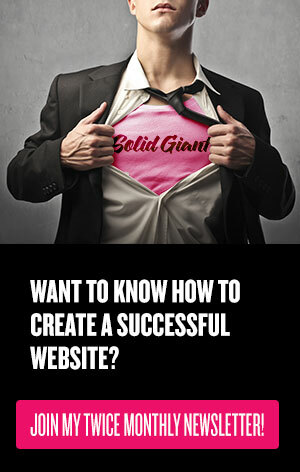 Getting yourself a website is a huge step in the marketing your business game. You’re thinking: now what? Noooooooooooow – you set up Google Analytics! Why? Because this simple setup will let you see how many people are coming to your website, from where, how long they’re staying and much, much more. Ready for Google Analytics? If those two words don’t make you want to party – I don’t know what will. Go ahead, grab your party hat, turn up the music, we’re going to super-ify your website with a Google Analytics setup. At this point either sign in with your existing Google account (Have you signed up for Google Apps for Business, perhaps? or do you currently use Google Adwords?) or click ‘Create an Account’ in the upper right. At the time of this post, Universal Analytics is currently in beta and doesn’t have the same full capabilities as Classic Analytics. I recommend choosing Classic Analytics to start (we can upgrade later once Universal Analytics is out of beta). For Website Name, you can simply use your URL if you wish. For Website URL – just type in your website address! Just as Google tells you – www.yourwebsiteadress.com (they’ve already taken care of the http://). For Account Name – feel free to use your company name. You can have/monitor multiple websites in one Analytics Account, so make sure this name will be appropriate if you plan on adding multiple websites. Data Sharing Settings – completely optional. Select and deselect as you feel comfortable. Click Get Tracking ID, agree to the pop-up Terms of Service and you’re all set! This part can SEEM a little intimidating (I know it’s easy to go deer-in-headlights when anyone starts typing code-like characters) but I PROMISE it’s actually really simple. If you’re using WordPress to manage your site, simply install the Google Analytics for WordPress Plugin and under Settings, manually enter your UA code (just copy and paste everything after “Tracking ID” from your Google Analytics screen). NOTE: Be sure to copy and paste YOUR specific code and not the one in the above screenshot – each UA code is unique to one Google Account. Copy the code Google displays for you (it includes your unique UA code). Paste EXACTLY THAT before the ending tag in your HTML code. Save. As Google says, Most websites re-use one file for common content, so it’s likely that you won’t have to place the code snippet on every single page of your website. Questions? Let me know in the comments below. I’d love to hear about how this blog post helped you. If you liked this Analytics setup guide, great! Use the social sharing buttons at the top of this post to give this post some sharing love.